R&D Roofing are fully trained Fibreglass GRP Roofing installers. GRP (Glass Reinforced Plastic) also known as fibreglass. This consists of a mat of glass fibre strands used in conjunction with a flexible resin compound which cures to a tough and durable finish. GRP has been in use for many years and has been used for marine craft such as boats and yachts. It has also been used for car bodies and is found in aircraft manufacture. 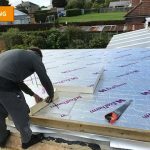 It is also recognised by construction authorities and home insurers as a premium flat roofing solution. 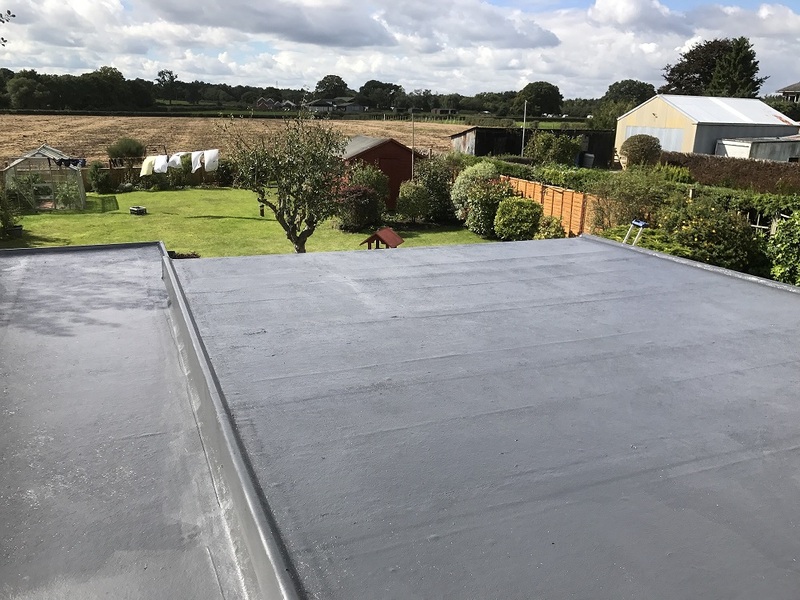 We believe that our product is the ultimate solution for flat roofing; it will require no maintenance and will look good for years. A GRP roofing system will give you peace of mind for many years to come. R&D Roofing are also LABC certified (Local Authority Building Control) and have attended regular training sessions to develop our skill set. 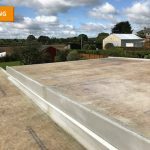 What makes fibreglass ideal for flat roofs? How long will a 'Cure-it' fibreglass roof last? 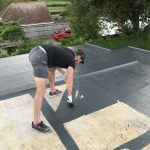 How easy is it to repair a fibreglass roof in the event of damage? 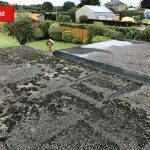 Can certain materials damage fibreglass roofs? 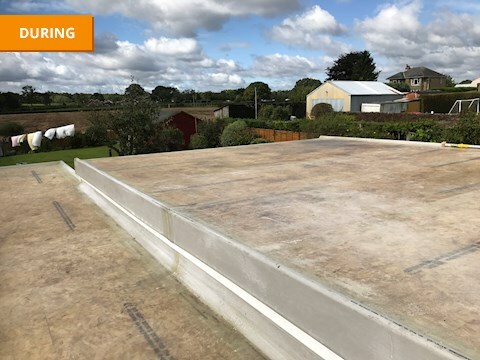 Can i walk on a GRP roofing system? 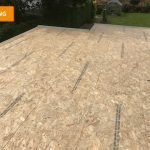 Is there a warranty for 'Cure-it' fibreglass roof systems? Fibreglass is a lightweight, extremely strong, and robust material. GRP material is not brittle, and the raw materials are much less expensive. Its bulk strength and weight properties are also very favourable when compared to other waterproofings, and it can be easily formed using moulding processes. 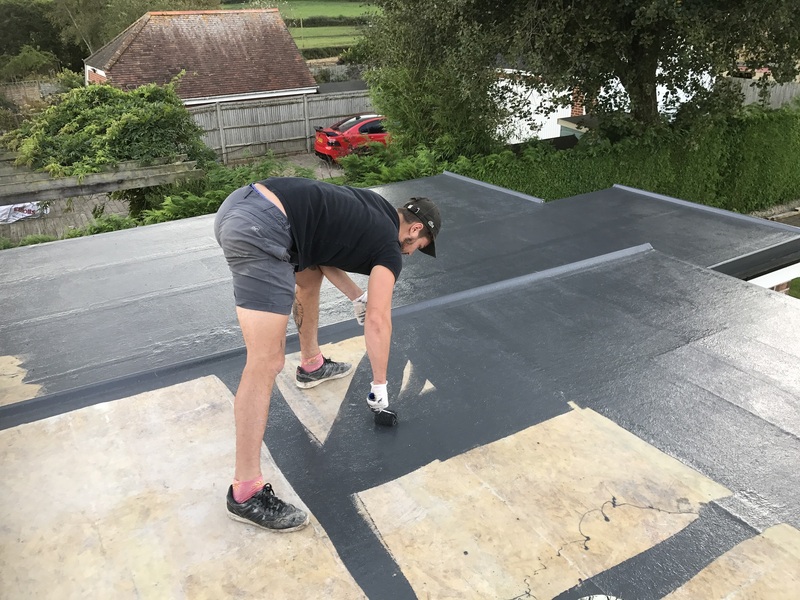 It’s true to say the longevity of a GRP roof is more to do with the quality and experience of the Contractor than the choice of materials; we believe a GRP roof can outlast any other roof covering. In case of damage, the GRP can easily be repaired by either cutting out the damaged area and re-applying fibreglass matting and resin. There are no common materials or substances that will cause damage to GRP. But Acidic cleaners, Paint Stripper and Rust Remover can strip Gel Coats. Yes. We recommend using a anti-slip top coat. Yes, R&D Roofing offers a 20 year warranty and the manufacturer of ‘Cure it Fibreglass’ offers a 20 year material warranty. New Kitchen and Garage GRP Flat Roof installation in Romsey. Some before and after photos in Romsey. 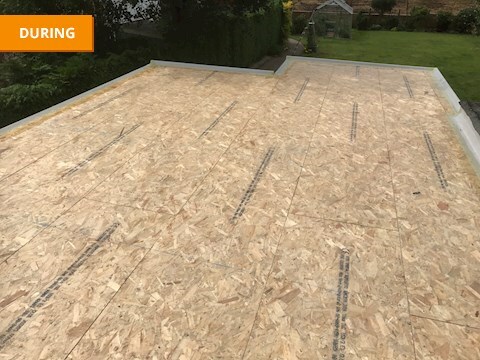 First of all, we insulated the existing kitchen and garage roofs with Ecotherm, and then they were overlayed with OSB3 Boards before rolling Fg primer and supplying and laying Alutrix 600 vapour barrier system to both roofs. 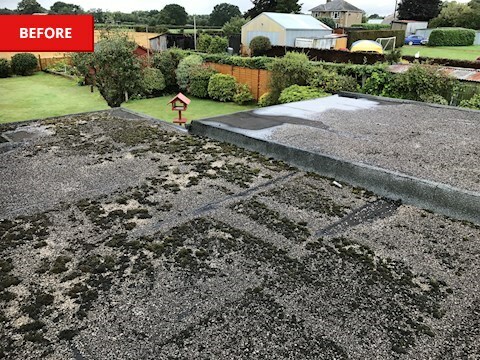 The roofs were finally finished with a GRP cure-it roofing system - The finished result is amazing, and more happy customers. Please feel free to take a look at our recent GRP fibreglass roof we completed that we hope you will be impressed by. 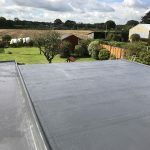 If you’re unsure whether or not GRP is the right solution for you, then hopefully this short case study will clear up any questions you might have. 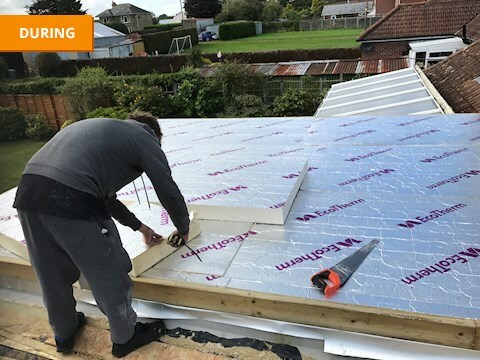 This video gives you a short introduction to GRP roof systems and how it might be a good flat roof solution for you.